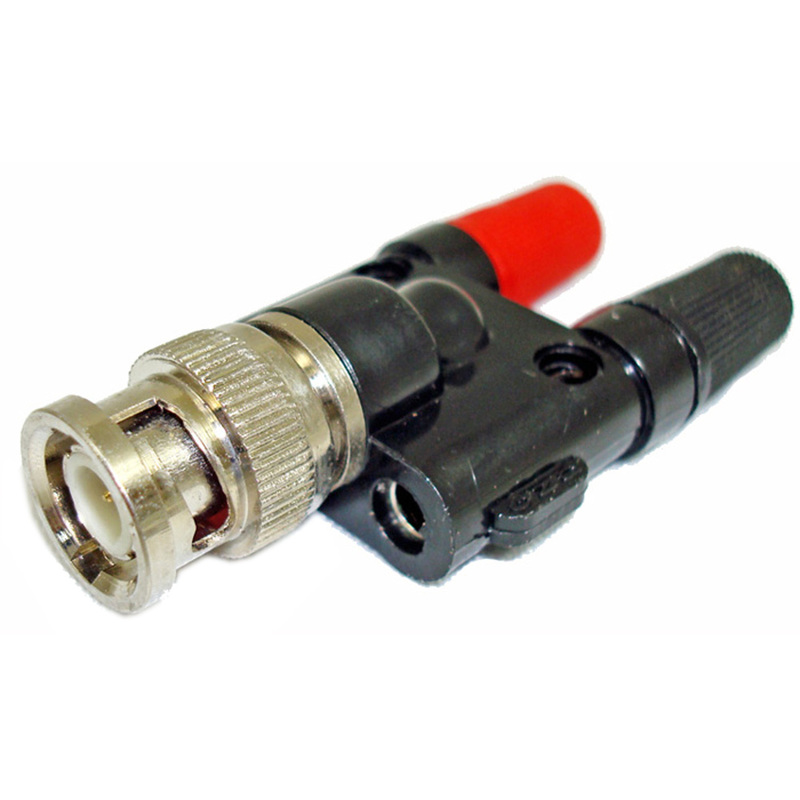 Circuit Specialists carries a variety of low-cost BNC adapters — fe-/male BNC to dual banana plugs and fe-/male BNC to dual binding posts — which feature rugged ABS housing and nickel-plated brass connectors. 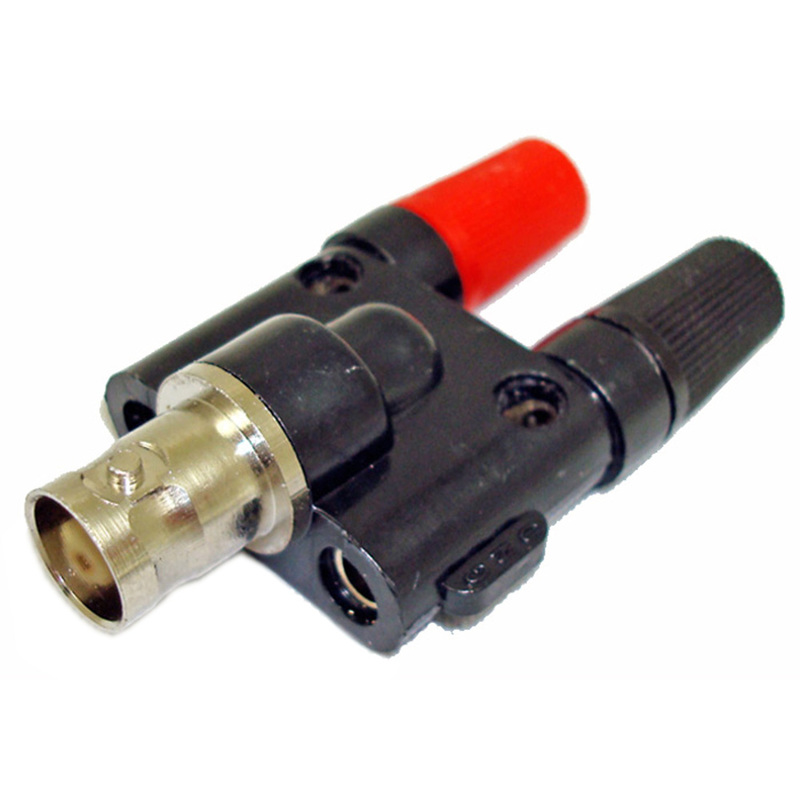 Our BNC adapters have .161" holes for side stacking and standard .750" center-to-center binding/banana post spacing. 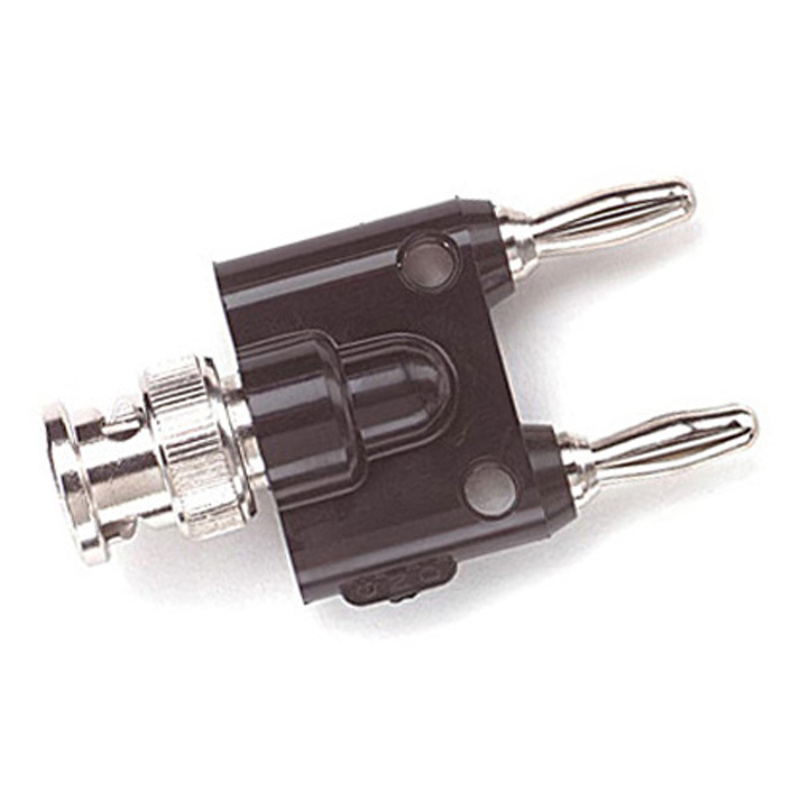 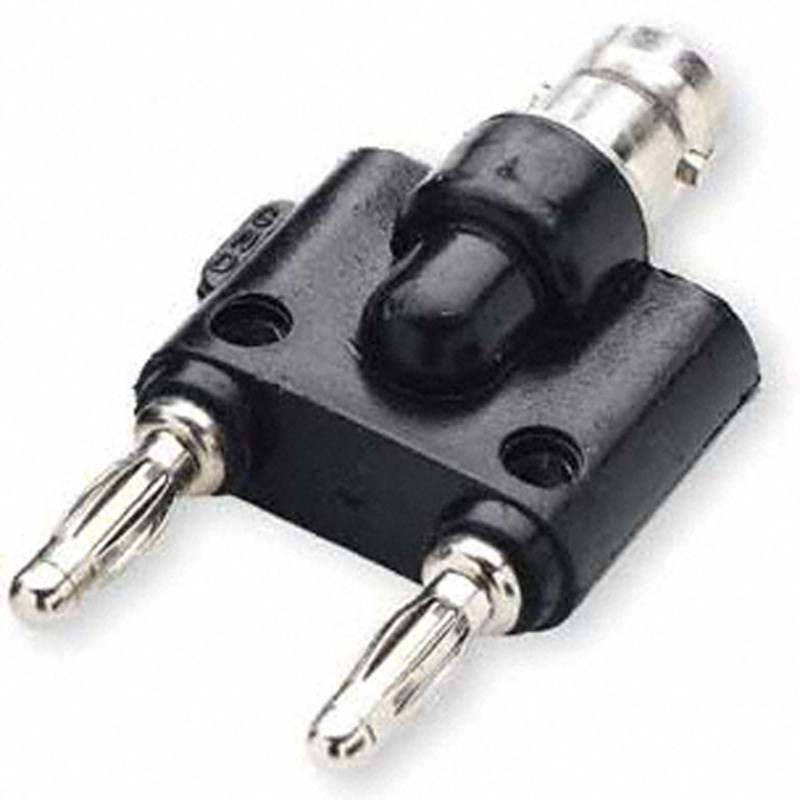 You won't find BNC adapters of comparable quality at these kinds of prices elsewhere.